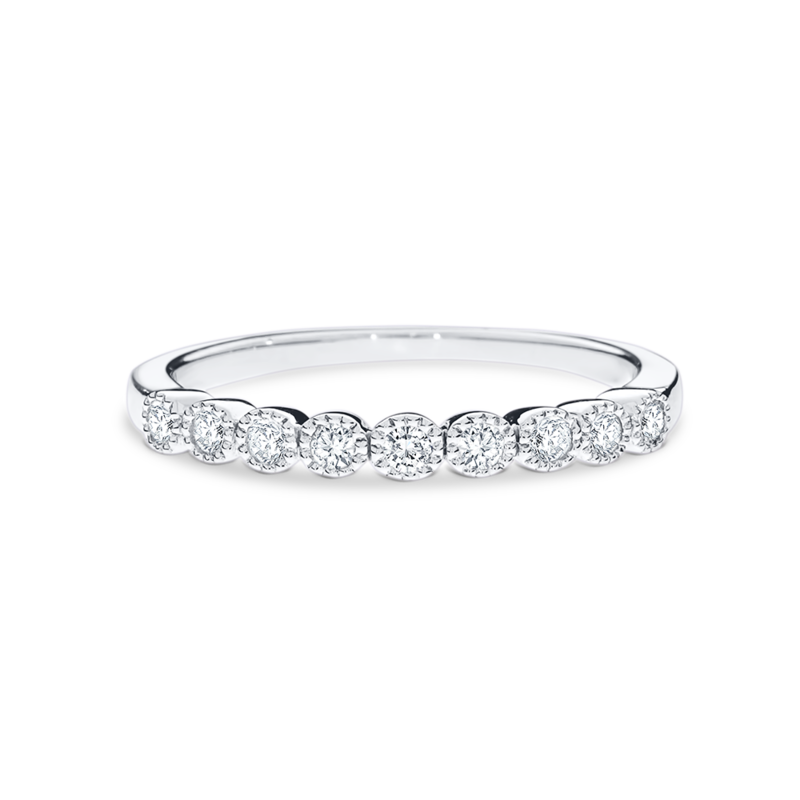 Round brilliant-cut diamonds are celebrated for their shape within a delicate milgrain setting. 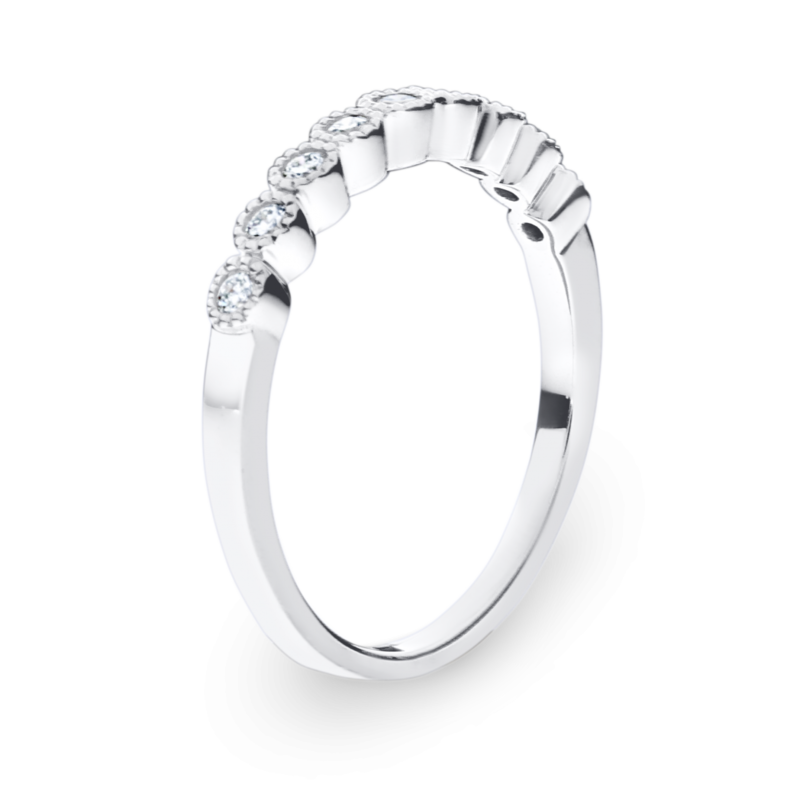 Featuring 9 diamonds for a total of 0.18ct. Available in a range of diamond weights and in 18ct yellow, rose and white gold or 950 platinum.